Supernatural: Milestone 300th episode brings return of beloved character! The first season that Supernatural premiered on The WB Network, it was uncertain as to whether it would get a second season. The year was 2005 and it was a time of difficult transition that combined The WB and The UPN networks to form The CW, where the new direction was soon for shows geared towards teen girls (Gossip Girl, 90210, The Vampire Diaries). A supernatural, sci-fi, horror show about two demon-hunting brothers hardly fit into the target demographic at the time. But along with all the magic, mystery and urban legends that the show tackled each week, something magical was also happening with the viewing audience. The show was connecting on an unprecedented level to a wider audience, not just teen girls, thus building its fanbase with each passing episode. A fanbase which then took to social media en masse to spread the word and gain even more support. Those early actions blossomed into a voracious fanbase who kept the show in the public eye and indirectly helped in keeping it on the air for the next decade and counting. The true magic was not in the ghosts, witches and legends encountered every week, but in the way the relationship between brothers Sam and Dean Winchester resonated with that growing audience and kept them coming back for more. The chemistry, and enduring real-life friendship between actors Jared Padalecki and Jensen Ackles came together to create a bond between unforgettable characters that has endured for 14 seasons and shows no sign of slowing down. Despite the scary elements, at its core Supernatural was, and still is, all about family. A theme which truly comes full circle as the show reaches the milestone 300th episode airing tonight Thursday, February 07, 2019 and brings back a character that fans have waited over a decade to see, for a truly magical family reunion. THE CW NETWORK RENEWS TEN CURRENT SERIES FOR 2019-2020! The CW has handed out early renewals for 10 of its current programs: Arrow, Black Lightning, Charmed, DC’s Legends of Tomorrow, Dynasty, The Flash, Legacies, Riverdale, “Supergirl” and Supernatural. TNT Celebrates Supernatural’s 300th Episode with 25-Episode Marathon! Supernatural – Sam Winchester (Jared Padalecki), Lucifer (Mark Pellegrino) – Photo courtesy of TNT. With the 300th episode of Supernatural coming up, TNT is celebrating the show’s run with a marathon of the top 25 fan-favorite episodes, beginning at 10am/9C, on February 4th. Every Awful Thing We’ve Ever Seen Teaser: TNT’s Halloween Supernatural Marathon! TNT’s Halloween Supernatural Marathon – Sam Winchester (Jared Padalecki0, Dean Winchester (Jensen Ackles) – Photo courtesy of TNT. TNT has a dozen deadly delights from Supernatural – including ghosts (and Ghostfacers) and ghouls just for a start – in its Supernatural Halloween Marathon on Wednesday, October 31st. Check out the teaser and list of episodes below. TNT Marathons Supernatural for Halloween! Supernatural – Sam Winchester (Jared Padalecki) and Dean Winchester (Jensen Ackles) – Photo courtesy of TNT. TNT is inviting everyone to have a supernaturally great Halloween. 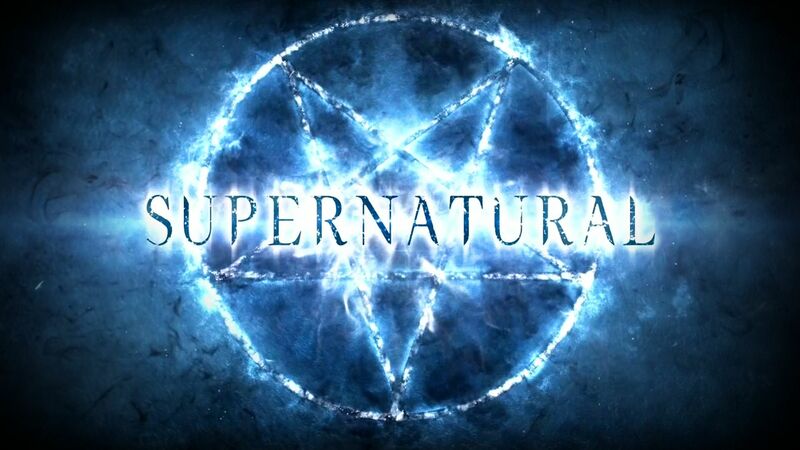 The network will be running a 12-episode Supernatural marathon on Wednesday, October 31st – beginning at 8am/7C. An episode list follows. The CW Renews 10 Shows for 2018-19! The CW goes into its expanded 2018-19 (adding a sixth night) season with 10 early renewals, including the network’s longest running series, Supernatural, all of its DCTV titles, critical darlings Crazy Ex-Girlfriend and Jane the Virgin, the dark Archie series Riverdale, and rookie primetime soap, Dynasty. The CW Renews Seven Current Shows! Fans of Arrow, Crazy Ex-Girlfriend, DC’s Legends of Tomorrow, “The Flash, Jane The Virgin, Supergirl and Supernatural can relax. All seven shows have been renewed for the 2017-18 season. Mark Pedowitz, President, The CW, made the announcement this morning. As if the wait over winter hiatus hasn’t been bad enough, an eerie new promo giving a glimpse of highlights for the second half of the season makes the wait for tonight’s return of Supernatural almost unbearable (The CW, 9pm). The promo titled simply “Keep Grinding” features scary new creatures, some seemingly uncomfortable alliances, and upcoming events that make us fear for the Winchester brothers and even more so for their wayward angel, Castiel. Perhaps we can just keep hitting the replay button to make the hours pass faster until this evening! Second Chance premieres on FOX on Wednesday nights (9/8C) and is intriguing enough to be worth your time. Pilots are always a difficult thing to pull off since they have only 45 minutes to introduce characters, provide adequate back-story, and establish the driving force of the series. It is no surprise that things may feel a bit rushed. They also need to be fascinating enough so that the viewer would be interested in tuning in to the series in the weeks to follow. Second Chance delivers a solid pilot covering all the requirements and sets up interesting themes to move the series forward. No doubt there are going to be some high expectations as the series evolves, considering the producers have some outstanding television credits as part of their resumes such as Life, Crisis, 24, Homeland, Tyrant, Law & Order: SVU, and Elementary. Also, in case you missed it, be sure to check out the Eclipse interview with Executive Producer Rand Ravich and stars Rob Kazinsky for some great character insights. A new trailer, titled The Family Business, sets up more than a few chills as it hints at what lies ahead for Sam and Dean Winchester in season eleven of Supernatural (The CW, Wednesdays, 10/9C). When even Rowena has to ask ‘What fresh Hell has Dean Winchester unleashed,’ you know things are getting dire. Check out the trailer following the jump. 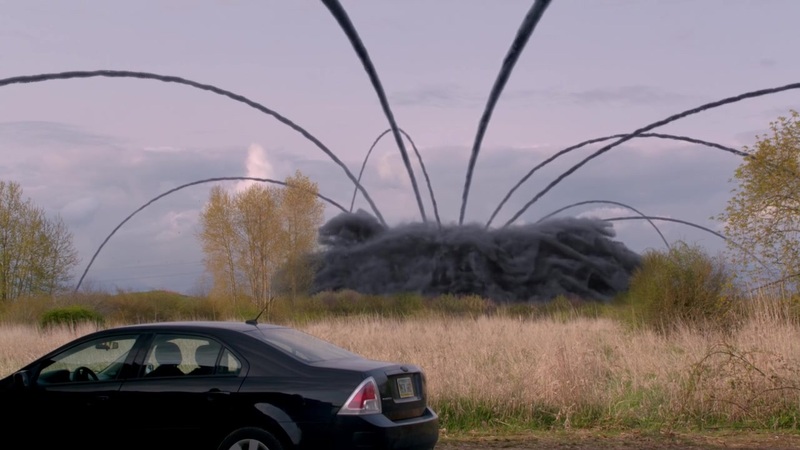 Supernatural Teaser: Are You There, God? It’s Me, Sam Winchester! Things are looking bleak for Sam and Dean Winchester in the new teaser for Supernatural: Season Eleven – so bleak that even a personal plea to God is not unthinkable. Of course, the darkness of the teaser is somewhat mitigated by the one fun moment – courtesy of Dean. I mean, who else? Check it out after the jump. Supernatural returns on Wednesday, October 7th.